John Claudes Custom Jewelry has been in business since 1975 and is a well-established authority on jewelry repair and customization services. We do all of our work in-house and take immense pride in our craft. No matter what your vision for unique jewelry, we’re prepared to deliver. We also buy silver and gold. Contact us today for a free estimate! We’ve been designing and repairing jewelry since 1975 and are fully dedicated to our craft. We welcome any piece or design. Our custom pieces are truly one-of-a-kind. We believe our designs should be as unique as the person wearing them! 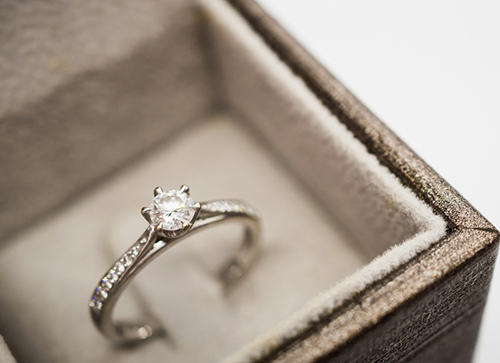 We offer free estimates on all of our jewelry customizations and repairs. You’ll always know upfront what the cost of our services is. All of our repairs are done on-site and we have the capabilities to take on repairs and projects that other traditional jewelry shops just can’t. We buy gold and silver! If you have old or broken jewelry or other gold or silver items, we’ll be glad to take them off your hands. It’s easy to walk into any generic jewelry store and find a huge selection of pieces. What’s uncommon, however, is finding a piece that’s absolutely perfect for you or the person you’re giving it to. For unique jewelry that’s beautiful and made with quality and care, you’ll need to come to John Claudes Custom Jewelry! For decades we’ve been helping customers bring their ideas for custom jewelry in Riverside, CA to life, giving them pieces that are truly one-of-a-kind and always exceptional. We can work from designs or other inspiration you bring us, and can even modify pieces you already own to give them a little personal flair that’s just right for you. As a custom jewelry maker in Riverside, CA, we’re also equipped with the tools and expertise to provide repairs and restoration for your existing jewelry. If you have a favorite piece that’s damaged or worn, or need us to make adjustments to it, we’ll be happy to help. From ring resizing, to stone resetting, to chain repair and more, our workmanship is top-notch, resulting in jewelry that’s flawless. Want to part ways with old or damaged gold or silver jewelry? We’ll take it off your hands and pay you for it! We welcome precious metal scrap, using it in many of the custom creations we design. Get in touch with us today to schedule a consultation and let us put our talents to work for you and your jewelry! Accessorize in style! We’ll restore your favorite piece to a like-new condition or design something from scratch that’s unique to you. Contact us today to learn more.